Chardonnay, arguably one of the most versatile white grape variety that has been popularised in virtually all vine-growing regions, is also among the most maligned on earth: first too oaky then too lean. The ‘Anything But Chardonnay’ movement of the 1990s was a vocal market rejection of an oaky, overripe and buttery style that was like sticking your nose into a bucket of popcorn. What followed later was a withdrawal from the heavy-handed use of oak to create austere, lean and racy expressions with acidity sometimes so pronounced that it was like biting into a lemon. 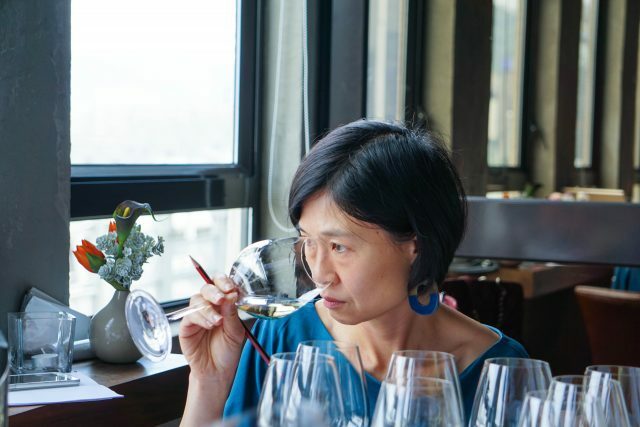 Regardless of stylistic differences, though, the Hong Kong market seems to have a shelf space to accommodate both, as the results from Asian Chardonnay Masters this year have shown. From left to right: (first row: JC Viens, wine educator, Joao Pires MS, Jennie Mack, managing director of AWSEC, Ivy Ng, former publisher of the drinks business Hong Kong, Sarah Wong, wine judge and columnist; second row: David Wainright, director of Andromeda Wine, Eric Desgouttes, general manager of Kerry Wines, Derek Li, group sommelier at JIA Group, and Allie Braithwaite, former employee at drinks business Hong Kong. Nowadays, while both styles still exist, winemakers are generally refraining from excessive oak use to achieve a balance between acidity, oak and structure, a key point for the judges when reviewing all the samples. Describing her perfect example of a Chardonnay, Sarah Wong, wine judge and columnist, said: “It is one that has fresh fruit. It should be balanced with crisp acidity levels, and good fruit intensity. Oak should be discreet and well-integrated into the wine”. With balance in mind, the judging results showed that heavy oak use that overwhelmed Chardonnay’s own pleasant fruit profile was penalised, so were samples that were cloying, flabby and ripe, without an acidic backbone, or samples that were too green and racy, lacking fruit intensity and texture. 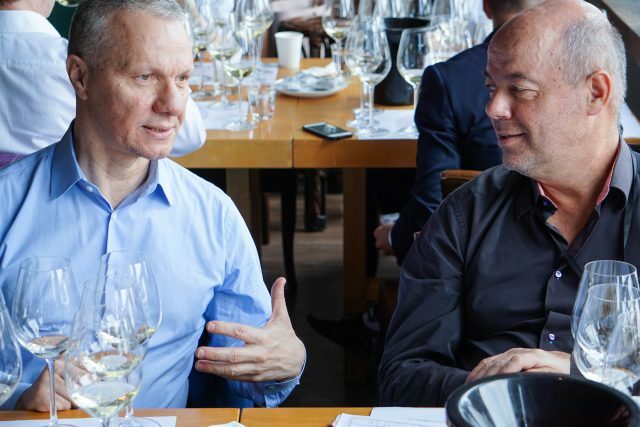 The Asian Chardonnay Masters is a competition created and run by the drinks business Hong Kong, and is an extension of its successful Asian Masters series. 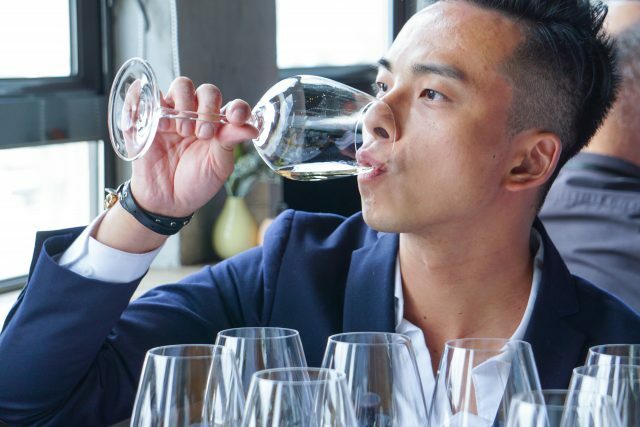 The competition is exclusively for single varietal Chardonnay wines and the entries were judged by a selection of experienced tasters including Hong Kong and Macau’s top sommeliers, wine buyers and wine educators. The top Chardonnay wines were awarded Gold (93 points or above), Silver (89 points or above) or Bronze (85 points or above) medals according to their result, and those samples that stood out as being outstanding received the ultimate accolade – the title of Master (97 points or above). The wines were tasted over the course of a single day on 20 May at Hip Cellar. This report features only the medal winners. Different from Pinot Noir or Sauvignon Blanc, regardless of its growing region, Chardonnay, can be deftly shaped by a winemaker’s skills, cellar techniques and barrel ageing, giving it a chameleon-like nature. This means a clever winemaker can create a plethora of styles with a repertoire of techniques including malolactic fermentation, lees stirring and time spent in barrel. In a market like Hong Kong, consumers seem to be more receptive to different styles of Chardonnay from this wide spectrum. Derek Li, group sommelier of JIA Group, said even heavily oaked Chardonnay has a spot on a restaurant’s wine list. “Chinese people would like to pick a Chardonnay with quite heavy influence of barrel ageing and Western diners prefer a mineral-driven style,” he said. 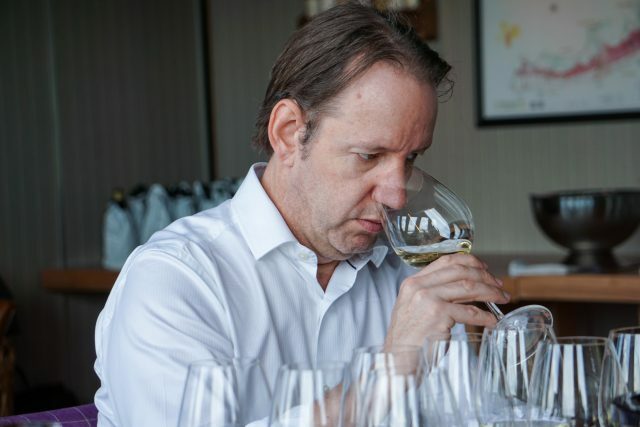 When it comes to high-value Chardonnays, Burgundy rules among Hong Kong’s deep-pocketed wine enthusiasts and collectors, added David Wainwright, independent wine consult and judge, who previously worked for auctions houses such as Christie’s and Zachys. “Burgundy still dominates, maybe a bit of California here and there,” Wainwright said, but stressed that at the same time, Burgundy, the spiritual home for Chardonnay, and in many cases still considered the pinnacle of a winemaking, is “aspirational” to many young wine drinkers. The Master-winning Greywacke Chardonnay 2011 from New Zealand’s Marlborough region, made by Kevin Judd, the former winemaker at Cloudy Bay, is a prime example of what a balanced Chardonnay can taste like. With a creamy and silky texture, supplemented with abundant citrus zestiness, and spice nuance from barrel ageing, the wine was a surprise for judge Li. “The wine is showing brilliant minerality, like crushed stone, and intense freshly picked white peaches. The palate is well integrated, with a balance of fresh acidity with good use of oak. The wine also has a long-lasting finish,” the sommelier said. As well as Greywacke, a few other New Zealand Chardonnays also came in for high praise from the judges, proving that the country has more to offer than Sauvignon Blanc. Spy Valley Chardonnay 2015 is a lighter style with lively acidity, hints of floral notes on top of its citrus-dominated nose and costing less than HK$150 a bottle. Aside from Marlborough, Hawke’s Bay is another region that has championed Chardonnay, accounting for 32% of New Zealand’s total plantings in 2016. Babich Irongate Chardonnay 2016, from the region’s now renowned Gimblett Gravels subzone, rich with gravelly soils, is a steely version of Chardonnay that impressed Wainwright. The quality of the Chardonnays from New World countries like the Greywacke and Babich wines is their value, both in the HK$200-HK$300 price band. In Australia, another country where Chardonnay has come of age, unburdened by oak and high-octane personality, the trend is to craft wines of more polished, nuanced flavours and smooth textures. It’s hard to make generalisations about a style for Chardonnay in Australia, and there are classics coming from regions such as Margaret River, as in the iconic Leeuwin Estate Art Series Chardonnay that commands strong market interest, or the richer and more generous style of Allegiance Wines Unity Chardonnay 2017 that equally impressed the judges, earning a Gold medal. There was also a more restrained ‘Burgundian’ version from the region’s Voyager Estate. The white is smooth, textured and has seamless tension that was lauded by Eric Desgouttes, general manager of Kerry Wines, who called it “an excellent example of what Chardonnay should taste like”, one that suited the general trends in the market. In Clare Valley, it was one Chardonnay by the region’s pioneering winery Wakefield Taylors Family Wines that bowled over the judges, not just for its craftsmanship but also for its price point, selling for less than HK$150. Another value-for-money wine is McGuigan’s The Shortlist Chardonnay 2016 from Adelaide Hills, in the HK$100-HK$150 price band, with a thrilling smoky and lemony nose. As well as the well-established wine regions in the country, a relatively newer one, Pemberton, in western Australia also bagged a Gold medal with its Castelli Estate Chardonnay 2016. Another top-medal winning wine from the blind tasting is Jackson Family Wines’ Cambria Benchbreak Chardonnay 2015 from California’s cooler-climate Santa Maria Valley. This smoky and leesy Chardonnay is laced with citrus notes, lemon peel, toastiness and a pleasant struck-match whiff, a result of hydrogen sulphide during fermentation. The wine, harking back to a more classic Chardonnay style, impressed the judges enough to take home a Master. Another Jackson Family Wines’ Chardonnay made with parcels picked from high-elevation vineyards in its Stonestreet winery in Alexander Valley also stood out, and earned a Gold medal. This was a plusher example but had plenty lively acidity and structure. This year, another top-performing wine country from the competition was South Africa. With a record number of entries from the country, three won Gold medals. Distell Wines, the South African wine giant, netted two Golds, with its Durbanville Hills Collectors Reserve The Cableway Chardonnay in Cape Town and its Fleur du Cap Series Privée Chardonnay made with grapes selected from two vineyards in Stellenbosch. The Durbanville Chardonnay is a lighter version with a slight touch of wood, while the Fleur du Cap Chardonnay is a more bodied and dense wine with ripe fruits. Contrasting with larger-scale Distell, the Kershaw Elgin Clonal Selection Chardonnay is a small artisanal production by Richard Kershaw MW. A restrained and site-specific white, the wine from the country’s Elgin Valley impressed the judges with its mineral style and white-fruit characters. Aside from the regions mentioned above, this year the majority of the samples we received were from the New World, including entries from lesser-known regions such as China’s Ningxia region, Japan’s Yamanashi, and many more from Chile, Argentina, Israel, Italy, and France. Except for a few number of wines that had notes of unbalanced reduction and oxidation notes, most of the samples were well made and technically correct.